St. Joseph Church in Oborniki, Poland, was standing room only for the Jan. 13 funeral of Father Jerome Pohl, who died Jan. 9 in Philadelphia. School students, young adults and numerous orders of nuns and priests filled the pews and aisles in tribute to a priest whose whole life was devoted to God and to his ministry, said longtime friend, Father Ted Gorka, parochial vicar of St. Adalbert Parish in Philadelphia. Father Pohl was born in Oborniki on July 16, 1932 and was ordained by Cardinal Bolesaw Kominek on July 1, 1967 for the Archdiocese of Wroclaw, Poland. Later in his career, Father Pohl delighted in the memory that, as an altar boy in Wadowice, Poland, he served Mass for then-Cardinal Karol Wojtyla, later Pope John Paul II, Father Gorka said. Father Pohl was sent to the Archdiocese of Philadelphia in May 1984, where he served as parochial vicar at various Polish parishes including St. Laurentius Parish and St. Adalbert Parish, both in Philadelphia; St. Hedwig Parish in Chester and St. Mary Parish in Conshohocken. During Lent and Easter, Father Pohl would travel to Oborniki to serve the faithful there before returning to Philadelphia. 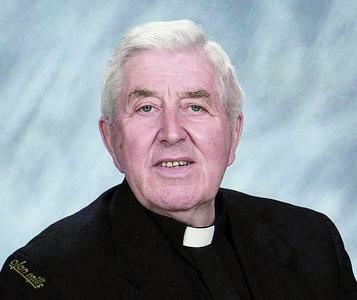 He lived at St. Adalbert Parish after retiring from active ministry in 2003. On the other hand, Father Gorka recalled, Father Pohl was an optimist, always telling his flock to have hope for the future. “He had a special place in his heart for the homeless and the sick. He is a great loss,” Father Gorka said.